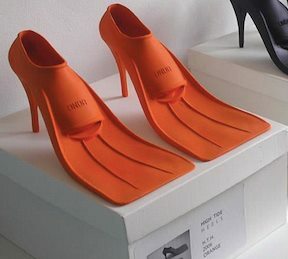 “Fin shoes with a kick” in the color orange, i would like to know where to purchase a pair of these, a must have! If you could send me info on where to locate these for purchase that would be great!!!! I can’t find them myself and I want a new pair, wore mine out.